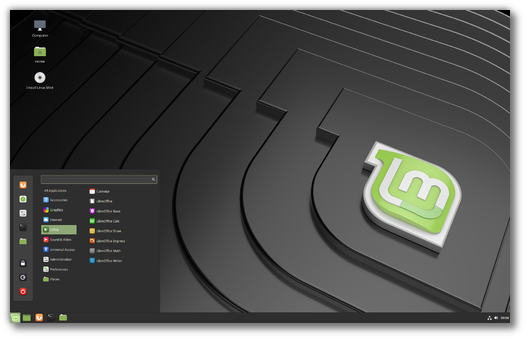 This is the BETA release for Linux Mint 19.1 “Tessa” MATE Edition. Many thanks to all the people who help our project financially. Donations are up again, more than 500 of you sent us funds in October and we now have 129 patrons on Patreon. 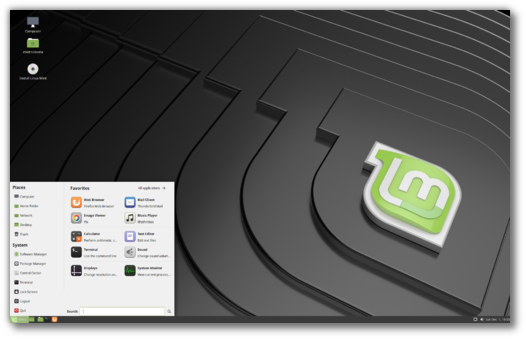 The BETA release for Linux Mint 19.1 will be out this week. We’re counting on you to help us find bugs and to help us fix them, so that we can raise the quality of the release and get to stable before Christmas. 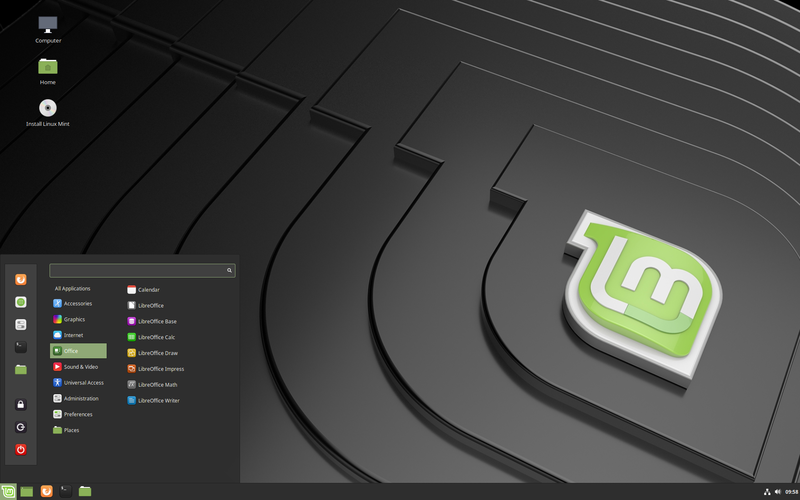 Some of the new features were described here on this blog, others will be unveiled tomorrow. This is an exciting time for all of us and we hope you enjoy it and have fun with the new release. $163 (3rd donation), Jack B. $150 (3rd donation), Don P.
$109 (3rd donation), Uwe P.
$109 (3rd donation), Naoise G.
$109 (2nd donation), Peter A. $54 (4th donation), Jan-Albert V.
$54 (3rd donation), Daniel S.
$54 (3rd donation), J. F. .
$54 (3rd donation), Juergen S.
$54 (3rd donation), Michael S.
$54 (2nd donation), Schultz M. L.
$54 (2nd donation), Jeroen V. B. $54 (2nd donation), Karl H.
$50 (9th donation), George H.
$50 (7th donation), Warren A. $50 (7th donation), Carl G.
$50 (6th donation), Douglas J. $50 (5th donation), William W.
$50 (3rd donation), Fred W.
$50 (3rd donation), Dave K.
$50 (2nd donation), Robert K.
$50 (2nd donation), Charles W.
$50 (2nd donation), Don P.
$50 (2nd donation), Victor I. $44 (2nd donation), Ugo J. $44 (2nd donation), Thomas B. $42 (4th donation), Martin K.
$40 (4th donation), Darin W.
$40 (2nd donation), John B. $38 (2nd donation), Nico R.
$35 (8th donation), Real F.
$35 (6th donation), Jeff S.
$35 (2nd donation), Andrew C.
$33 (104th donation), Olli K.
$33 (5th donation), Lars-gunnar S.
$33 (5th donation), Bruno N.
$33 (2nd donation), Rafael S. A. $33 (2nd donation), Erkki J. $30 (2nd donation), Michael M.
$30 (2nd donation), Kamil R.
$30 (2nd donation), Oscar R.
$30 (2nd donation), Doug K.
$27 (7th donation), Ralf D.
$27 (2nd donation), Patrick C.
$26 (3rd donation), Fred D.
$25 (87th donation), Ronald W.
$25 (86th donation), Ronald W.
$25 (9th donation), Douglas T.
$25 (6th donation), Myron J. $25 (4th donation), Jonathan L.
$25 (4th donation), Karen J. $25 (4th donation), Michael S.
$25 (3rd donation), Robert A. $25 (3rd donation), Chuck E.
$25 (2nd donation), Roderick N.
$25 (2nd donation), Mark F.
$25 (2nd donation), Daniel J. $25 (2nd donation), Scott O. $25 (2nd donation), Joe K.
$25 (2nd donation), Steven L.
$25 (2nd donation), George C.
$25 (2nd donation), Frederick S.
$23 (2nd donation), James H.
$22 (20th donation), Derek R.
$22 (6th donation), David M.
$22 (5th donation), Jonathan K.
$22 (5th donation), Florent G.
$22 (4th donation), Bernhard J. $22 (4th donation), Manfred W.
$22 (3rd donation), Aurelie L. B. $22 (3rd donation), Ørnulv A. $22 (3rd donation), Alexandru C.
$22 (2nd donation), Lois S.C.
$22 (2nd donation), Christian K.
$22 (2nd donation), Roman S.
$20 (11th donation), Lance M.
$20 (11th donation), Michel S.
$20 (7th donation), Nicklas L.
$20 (6th donation), John D.
$20 (4th donation), Peter L.
$20 (4th donation), Anthony S.
$20 (4th donation), Srikanth B. $20 (4th donation), Bryan F.
$20 (4th donation), Keith N.
$20 (3rd donation), Che H.
$20 (2nd donation), 陳 俊. $20 (2nd donation), Roy G.
$20 (2nd donation), Michael F.
$17 (4th donation), Daniel G.
$16 (21st donation), Andreas S.
$16 (9th donation), Robert K.
$16 (4th donation), Harm R.
$16 (3rd donation), Isidoro L.
$16 (3rd donation), Zahari D. K.
$16 (3rd donation), Gerhard A. $16 (2nd donation), Joachim B. $16 (2nd donation), Joachim A. $16 (2nd donation), Björn S.
$16 (2nd donation), Jean-marie L.
$15 (4th donation), Abigail M.
$15 (4th donation), Constantin M.
$15 (2nd donation), David G.
$15 (2nd donation), Robert H.
$14 (3rd donation), Martin F.
$11 (17th donation), Alessandro S.
$11 (7th donation), Marc V. K.
$11 (7th donation), Florian U. $11 (5th donation), Kari H.
$11 (3rd donation), Remus F. B. $11 (3rd donation), Dieter R.
$11 (3rd donation), Mirko A. $11 (2nd donation), Derek B. $11 (2nd donation), James P.
$11 (2nd donation), Rafal K.
$11 (2nd donation), Iris W.
$11 (2nd donation), Kenichi M.
$11 (2nd donation), Radoslav J. $11 (2nd donation), Luis M. M. I. $11 (2nd donation), Giovambattista A. $11 (2nd donation), Fabio F.
$10 (35th donation), Thomas C.
$10 (26th donation), Frank K.
$10 (23rd donation), Paul O. $10 (14th donation), Terrance G.
$10 (9th donation), Roger B. $10 (7th donation), Dohaeng L.
$10 (5th donation), Arkadiusz T.
$10 (5th donation), John T.
$10 (4th donation), Ian M.
$10 (4th donation), David T.
$10 (4th donation), Raymond O. $10 (4th donation), Ishiyama T.
$10 (3rd donation), Andrew C.
$10 (3rd donation), Ric D.
$10 (3rd donation), George M.
$10 (3rd donation), Doug S.
$10 (3rd donation), Kamil G.
$10 (3rd donation), John K.
$10 (2nd donation), Erik W.
$10 (2nd donation), Tabo K.
$10 (2nd donation), Mike B. $10 (2nd donation), Laurent D.
$10 (2nd donation), Josef H. R. H.
$10 (2nd donation), Krzysztof S.
$10 (2nd donation), Alfred C.
$9 (2nd donation), Philip B. $8 (5th donation), Toni K.
$8 (2nd donation), Paul B. $8 (2nd donation), Iker P. M.
$7 (3rd donation), Roy G.
$5 (30th donation), Eugene T.
$5 (29th donation), Eugene T.
$5 (18th donation), Jens-uwe R.
$5 (14th donation), Hans P.
$5 (8th donation), Халилова А. $5 (6th donation), Jimmy R. W.
$5 (4th donation), Luiz H. R. C.
$5 (3rd donation), Josh J. $5 (3rd donation), Willem V. U. $5 (3rd donation), Nenad G.
$5 (3rd donation), Kim T.
$5 (3rd donation), Stefan N.
$5 (2nd donation), Marcel M.
$5 (2nd donation), Le M.
$5 (2nd donation), Dawid M.
$5 (2nd donation), Nemer A. $5 (2nd donation), Raymond D.
$5 (2nd donation), Carlos G. L. G.
$5 (2nd donation), Yonglan Z. $5 (2nd donation), Philipp B. $5 (2nd donation), Wayne A. 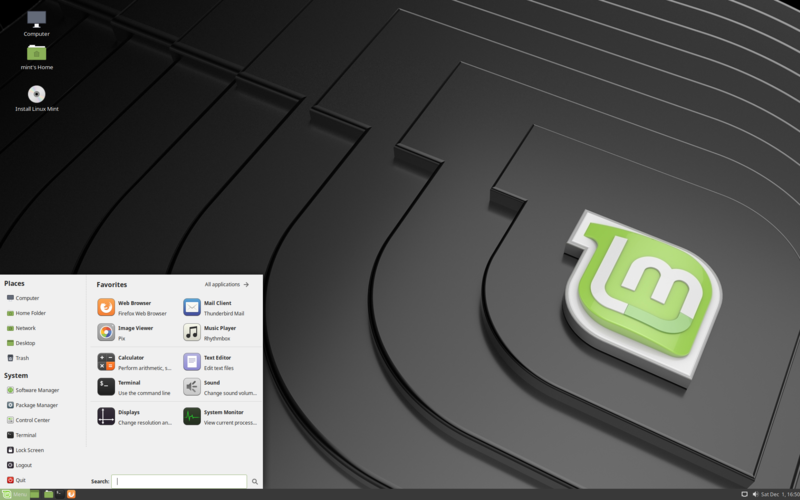 $5 (2nd donation), Pavel M.
$5, Jose M. G. C.
$3 (3rd donation), Artur F.
$2.7 (2nd donation), Elizabeth M.
$2.3 (2nd donation), Sarie B.
Linux Mint is proudly supported by 129 patrons, for a sum of $687 per month.